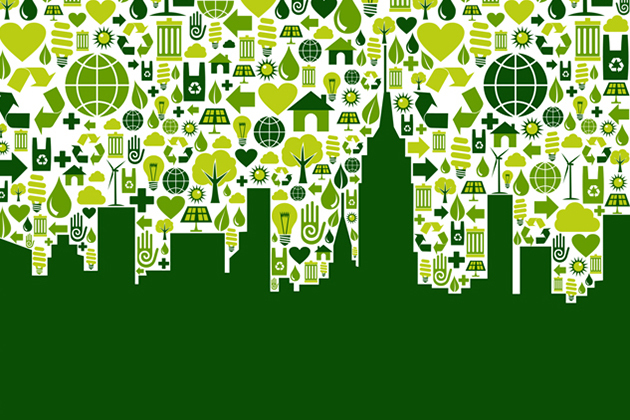 MultiBrief: Where is LEED having the most impact in the US? The eighth year of the list is based on 2010 U.S. Census data and includes commercial and institutional green building projects that were certified throughout 2017. This year's list has the highest average square footage per resident per state since 2010. Massachusetts retained its top position for the second year in a row with 130 LEED certifications representing 4.48 gross square feet of LEED-certified space per resident, the highest since 2010. In second place is New York with 3.39 GSF per capita. California has the most total LEED projects at 475, but ranks ninth in terms of GSF per capita with 2.4. The nation's capital is a strong contributor as Washington, D.C. — not a state, but a territory — tops the nation with 39.83 square feet of space per resident certified in 2017. Nearby, Maryland (fifth) and Virginia (ninth) are on the list for the seventh year in a row. While no region seems to have a stronghold on LEED, it should be noted that Illinois (third) and Colorado (10th) are the only states to have made the list every year since the inception of the ranking in 2010. Illinois comes in third with 3.38 square feet per capita, and Colorado places 10th with 2.27 square feet per capita. Hawaii (fourth), Minnesota (sixth) and Georgia (seventh) return to the list for the first time since 2014. "LEED is a proven economic development tool and method of meeting carbon reduction targets, reducing waste, energy and water consumption, and more," Ramanujam said. "By measuring success on a per capita level each year, this list reflects the personal and individual impact of these states' efforts. We commend the community leaders, businesses and government bodies in all 10 of these states for their ongoing efforts and dedication to a better quality of life for everyone." Per the study, these states have certified a total of 1,399 projects, with more 315 million gross square feet of space. This per capita list is based on 2010 U.S. census data and includes commercial and institutional green building projects that were certified throughout 2017. LEED-certified spaces use less energy and water, saves money for families, businesses and taxpayers, reduces carbon emissions and creates a healthier environment for occupants and the community at large. The latest list shows the states in the U.S. that are "making strides" in sustainable design, construction and transformation at the building level and opens up conversations around community and city level accomplishments in sustainable development. Within the top 10 states, there were 1,399 total projects; overall, in the US, there were 2,647 total projects. Massachusetts was the leader, but New York had 192 projects in 2017. Illinois saw 135 projects last year; and Hawaii experienced 16 projects, but Maryland had 105 projects. Minnesota had 47 projects; Georgia had 71; California had 475 projects; Virginia had 152; and Virginia had 76.